After all the rumors in recent years and despite launching the drop-dead gorgeous RX-Vision concept, Mazda has ruled out any hope of an RX-9 sports car. 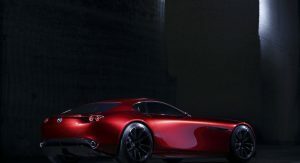 During an interview with Automotive News, Mazda chief executive Masamichi Kogai said the company has no plans to launch a sports car larger than the MX-5 Miata. 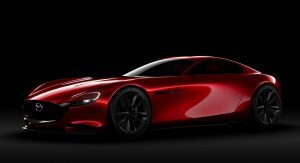 Although the company doesn’t intend on launching a new rotary-powered sports car, Kogai isn’t ready to kill off the notoriously fuel-hungry engine just yet. 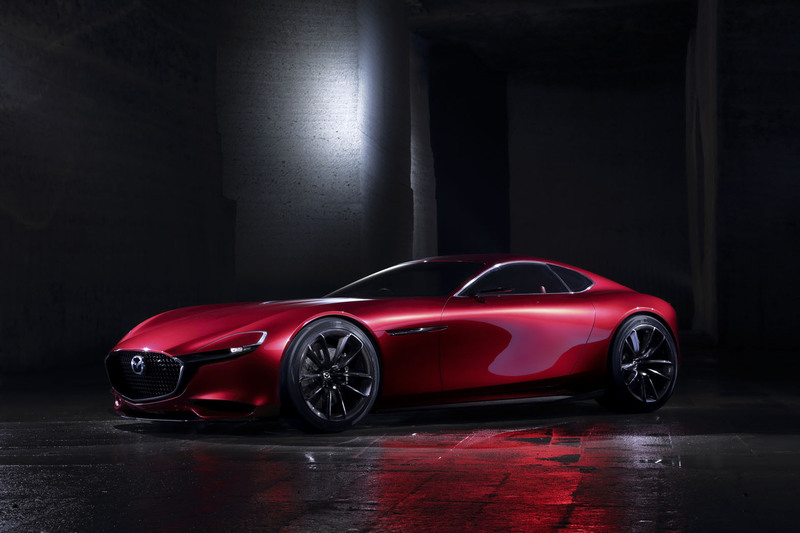 “If we were to restart production of the rotary engine again, we need to make sure it wouldn’t be just short-lived. We need it to meet future emissions regulations. We are still conducting our R&D activity to overcome any issues we have with emissions and fuel efficiency,” he said. 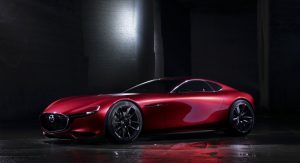 According to Kogai, if an efficient new rotary engine is developed, it would first be used as a range extender rather than the main power source of a car. 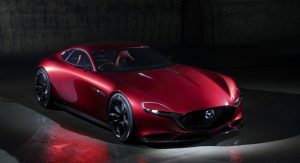 The only surprise here is that Mazda actually has the money for 50 or so engineers to work on this engine. Remember they are getting a decent amount of money from Toyota because Toyota makes the 2 into a Yaris iA here. Also, Toyota should probably start putting the Skyactiv motors in their cars soon as Toyota’s current engines are ancient. such a let down. I had so much hope. Remember when Rolls-Royce said they’d never build an SUV? Watch this space :P.
as I had guessed, they could use the skyactive 2.5 turbo and it will be just as good as the rotary in terms of power delivery. No surprise. 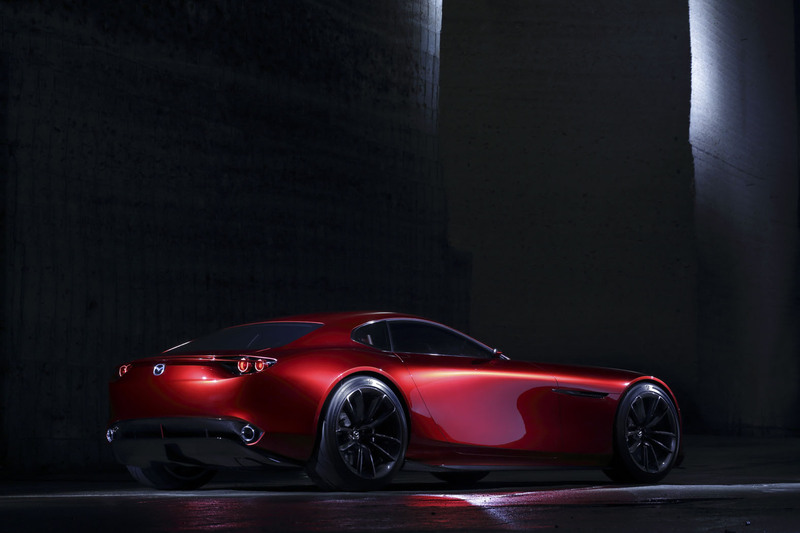 It would be very expensive for Mazda to build a sports car that will outrun an AMG or M cuv. Or even a mid range 3 series. I wish I was surprised. It takes a lot of work to build a new engine, much less one with many inherent flaws such as the Rotary. I know that they they did at least try to make us happy, and that’s all I could ask for. Good, it’s about time that they abandoned that pipe dream. I think that they realize that internal combustion will be dead in 50 years, there’s no reason to continue throwing money down that well. Actually you couldn’t be more wrong, internal combustion engines done just need gas to work, they can burn hydrogen. 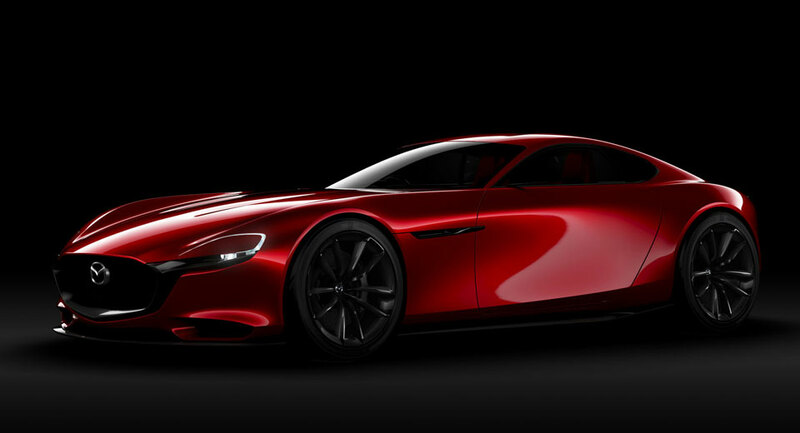 the rotary engine happen to be more suited to hydrogen combustion since it has no vales and can use ceramic seals. money needs to be thrown at hydrogen production and infrastructure, as with all things, initially it will be expensive to produce, but once it gets going economies of scale come into play as well new advancement of research and technology. whether burned in an ICE or used in a fuel cell using the most abundant form of energy is the future. battery electric is just a stop gap and smug factor for the hipster, its not a long term solution. before anyone says battieries are the answer.. why doesnt elon musk use batteries to send his rockets to space? instead of hydrogen? You’re making the assumption that hydrogen fuel will overtake battery/ electric in vehicles. 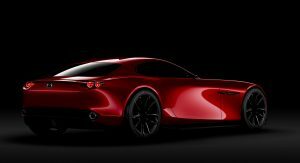 I have already read that Mazda plans to release their first EV in 2019: http://www.hybridcars.com/mazda-subaru-and-toyota-being-drawn-to-electric-cars/ . So most of the industry would consider you incorrect, however, we are both speculating so there’s no reason to argue on “what ifs”. All I can do is look at where the R&D is being spent right now and everything points to electric batteries with multiple quick charging options such as mobile stations as well as roads that can charge cars as they drive. Also, as far as rockets are concerned, liquid hydrogen has been in use since the 1940’s. The technology has been there, so why didn’t the automotive industry jump on that boat already. It’s been in use in rocket programs for decades. Because while it’s suitable for rockets, it’s extremely expensive and cumbersome to deal with with road vehicles. Are you kidding? Hydrogen fuel cells are 1/3 as efficient at battery electric. And hydrogen ICEs are worse. The only good application for hydrogen is potentially in cases where battery electric won’t work – large trucks and so-on. As to your comment about rockets… I choose to believe that you’re being flippant. Nobody could say something so ridiculous and actually mean it. Thank you El Boppo. You are my internet ally thread for the day lol. choose to believe what you want.. but like i said you are looking at the short term what exists now and for you it is batteries.. but the future is hydrogen, look up hydrogen island a japanese island currently utilisng hydrogen for enegry needs. batteries are the short term now available solution, but not the long term solution. 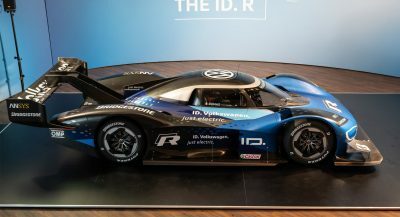 like i said R&D can only make things possible, battery tech is over 100 years old as is ICE, but hydrogen tech is not getting anywhere near enough funding for R&D in comparison and has not been in use for the same amount of time as batteries or fossil fuels. replacing existing fossil fuels with a energy storage medium (batteries) is not a solution.. you still need to generate that electric to store in batteries once the gas/coal/oil runs out. what will it be replaced by nuclear power? (i doubt it).. solar? wind? wave? none of these can produce anywhere near the amount needed to power the global demand. you wont get very far if you have a dead battery, and without the energy to charge them what’s their use? It’s not a matter of what to believe. This is simple physics, not religion. No matter how much funding you put into it, hydrogen itself is just an energy storage medium – exactly like a battery. Molecular hydrogen is not just mined somewhere. It’s separated from water (which consumes a lot of energy) or it’s separated from a hydrocarbon using a reforming process which is essentially a catalyzed combustion process, and which produces exactly as much CO2 as regular combustion. That energy to produce hydrogen comes from somewhere – usually power from the grid. And then of course, once you’ve produced the hydrogen it has to be stored and distributed,consuming energy. And finally to convert the energy stored in the hydrogen to motion, requires an ICE (around 30% efficient max) or fuel cell (about 50%). What it boils down to is that hydrogen is just a mechanism to deliver grid power to vehicle wheels – exactly like a battery. Doing it with a battery is at least 3x more efficient. And there is zero benefit for hydrogen IF you have a large enough battery for your purposes. Well the downside to batteries, is you loose range. Unlike a Hydrogen or Gas vehicle, once you get to a certain weight of batteries you can’t add range with more batteries. The biggest issue for many is that Hydrogen is not nearly as costly to the environment as making and mining a battery is. For the normal American the biggest issue with EV is the time it takes to recharge. 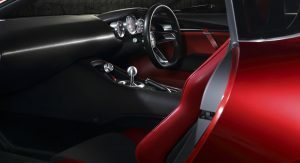 It will require a huge change from 10 min to get full gas and 300-400 miles vs. 30 minutes for less range in a battery. I’d like to see your reference source on the bit about batteries being more environmentally damaging than hydrogen. Maybe Facebook? Or the Koch Brothers Newsletter? Because it’s BS. The main components of a battery – graphite, nickel, lithium are plentiful and benign, both in mining and refining and of course they’re used for the life of the car. And once the battery is finished, it’s almost 100% recycled. Hydrogen, is consumed for the life of the car. If reformed from natural gas, isn’t environmentally much better than gasoline. And if it’s made with grid power then it’s as good or bad as your generating station – excepting that it’s 3x more wasteful than using the electrical power power directly in a battery. The argument about charge time is valid – for long trips. 95% of the time owners charge at home overnight, so charge time doesn’t matter. For the long trips, yes you will have to charge for a 1/2 hour or 40 minutes, and that’s not ideal. But that will be down to about 15 minutes once we’re up to 300kw chargers, as are starting to be deployed in Europe right now. The Tesla 100D (likely out in January) range is about 340 miles. And within a decade, range will certainly be over 500 miles. And of course prices will drop. Hydrogen is 100% a dead end. There is exactly no valid argument for it – long term or short term. The environmental issue with nickel batteries. I have intimate and direct knowledge around the nickel item. The plant in Sudbury definitely caused acid rain and local environmental damage prior to the 60s. That’s 50 year old history. The current facility produces next to no SO2 or acid rain. And the the local lakes & environment have massively recovered. Whomever wrote the piece doesn’t have a clue what they’re talking about. Lithium salts for the most part are dug out of dead lake beds in desert environments. There’s very little environmental impact. The first piece that you reference alludes to some issues but provides no information. The second piece talks about facilities in China. And while there may certainly be issues there the issue there is absence of local regulation. Modern 1st world mines/refineries do not have those issues. They just make us crazy. So where was he three months ago when reports surfaced that 2019, RX-Vision would break cover? This guy needs to start leading by example. Bummer. I blame the public. 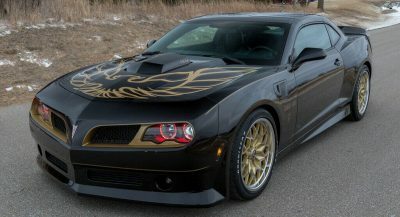 You can’t lose selling crappy SUVs but sports cars, you can’t give away. I know it’s the go to argument for why certain vehicles do not sell, but you cannot blame what the masses buy for other vehicles not selling when the slow selling vehicles (in this case sports cars) are not meant to be high sellers anyway. A person with a family is obviously going to go with a ‘crappy’ SUV as oppose to a sports car. Now, What I don’t understand is…like others have pointed out, why can’t they just stick a sky-activ in it and later down the line offer the more fuel efficient rotary they claim to continue working on. I can still blame the stupid public. Nobody should be buying an X6. Ford, Automatic and Amazon’s TMC platform will be available to all car manufacturers if they wish to adopt it. David Coulthard took the V8-powered car to the streets of Hanoi that next year will host an F1 GP.